As all track & field fans know, the IAAF World Indoor Championships are being held this weekend in Sopot, Poland. The track today is located in the city right next door, Gdańsk. 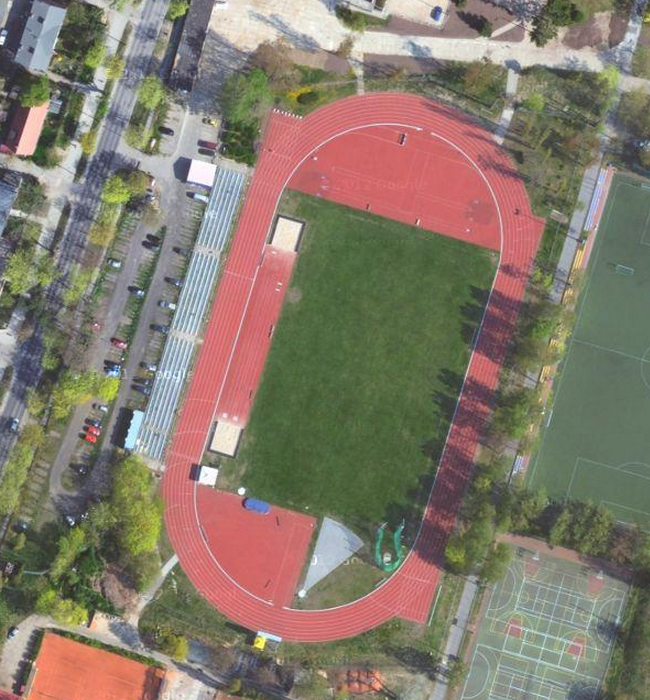 It is a nice all-weather track, found at the Jędrzej Śniadecki Academy of Physical Education and Sport. There are eight, full lanes, and like most European tracks, the field event are located on the inside. This is a track & field only facility, so there are a lot of options when contesting the field events here. Looks like a great set-up at this facility.